Is it time to pick your next destination? Woohoo! Be your own BFF and choose Peru, you won’t regret it. This land has plenty of choices in store for any intrepid traveler, showcasing ‘world wonder’ indigenous ruins, colonial-era towns, incredible tropical ecosystems and some of the most impressive landscapes on earth. Top everything off with quirky food, yummy drinks and the sweetest hospitality ever, and you’ll have a complete mind-blowing package. Not convinced yet? Ok, my wary reader, challenge accepted. It’s no secret that Peru is a pretty damn awesome place to visit. It’s wild, traditional and bizarre at the same time, offering crazy adventures and cool discoveries every day. This country also has a fun and quirky side to it, which will make you fall in love with it even more. 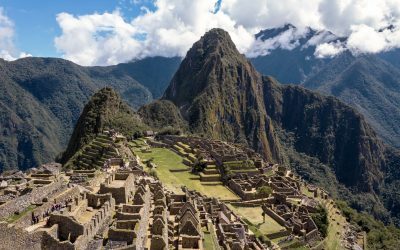 If you travel to feel alive and quench that thirst for adventure and unseen things, brush up your best hooded poncho, get yourself a crazy pom pom beanie and book a trip to Peru. I’m telling you, this country is something else. 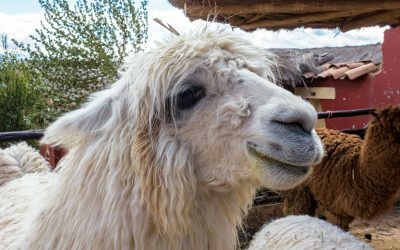 Peru really offers a lot, much more than anyone could squeeze into a couple of weeks, but I’ll show you how you can still have meaningful and memorable experiences in only 10 or 15 days. Below you’ll find a full travel guide, with details on how to move from each point to the next and suggestions on what to do at your destination. I also throw in some cost info and useful tips here and there. By the end of the post I sure hope I have you convinced to book your trip! 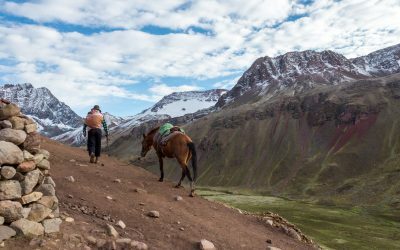 RAINBOW MOUNTAIN, PERU: IS IT WORTH THE HIKE? 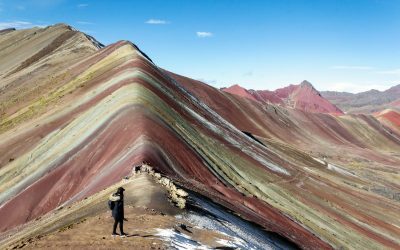 Vinicunca Mountain, a.k.a Rainbow Mountain, appears to its badass visitors as fascinating, bizarre, untamed, and somehow, even otherworldly. Except, it is not. 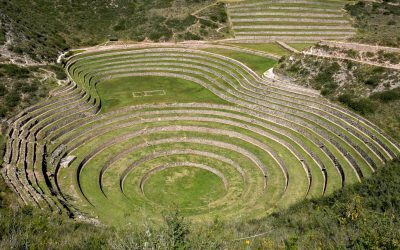 I mean, don’t get me wrong, this place is fascinating in every possible way, but it is also very much on the earth, perched up in the Andes and in the Southern Region of Cusco, Peru.